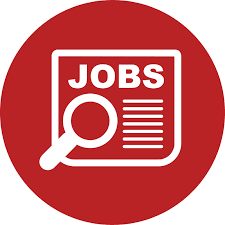 RTI International is seeking a Subawards and Procurement Manager for a USAID-funded malaria surveillance and monitoring project in Dar es Salaam, Tanzania. The Subawards and Procurement Manager will be responsible for managing a large subawards program, from solicitation to closeout, with multiple local subawardees. S/he will also provide subawardee training, subaward backstopping and oversight, and contribute to the development of subaward-related deliverables. S/he will provide leadership and coordination of the project’s procurement activities, including but not limited to the processes of procurement (local and international), transport of procured goods, and oversight of Asset and Inventory Management and Control, while ensuring compliance with RTI/USAID procurement and logistics policies. Development of the subawards management program with input and oversight of the Chief of Party, Surveillance and MERLA Director, and the RTI home office team. Oversees subaward management process for local entities, including working with the Technical Team to develop SOWs, tracking, review, and approval processes. Issuance of RFAs, evaluations of applications, negotiations and coordination and conducting of pre-award assessments and preparation of the subaward agreement. Maintains subawards files, including records on monitoring, progress reports, financial management files and ensures audit trail for all necessary subaward documentation. Ensures timely financial disbursements, compliance with subaward financial management policies, monitors all expenses as necessary, and provides regular updates on subaward status. Provides regular periodic monitoring of local subawardees and technical assistance as required to build their capacity. Reviews technical and financial expenditure reports (as necessary) for accuracy and adherence to the SOW and budget. Oversees procurement and logistics management of the project’s commodities/goods/materials and services required for operations, including performing all phases of sourcing and solicitation while ensuring best value for money and within required lead times for a variety of requirements. Identify and develop qualified suppliers for a broad range of commodities and services in support of project activities with the goal to ensuring open competition, efficiency, price reasonableness and overall best value in procurement. Supervise and provide leadership and guidance to the administrative assistant in support of procurement activities. At least 10 years of relevant work experience in finance, procurement and subaward/grants management within the USAID context. Experience working with international non-profit organizations (INGOs), preferably with overseas offices in Tanzania. Strong experience with USAID rules and regulations required. S/he must be fluent in English. Strong candidates will exhibit excellent organizational and interpersonal skills, ability to work under difficult circumstances with limited resources, and ability to form productive relationships with host country counterparts and training institutions. Additional professional training in procurement and supply chain management/logistics management preferred. Physical and mental demands of this role include those that must be met by an employee to successfully perform the essential functions of this job, as outlined above. Examples include: remaining in a stationary position for long periods of time; operating a computer and other office machinery; thinking, learning, and concentrating effectively and frequently communicating with other people, both within and outside of RTI; frequent travel between offices; ability to handle the stress associated in meeting frequent, multiple and tight deadlines; ability to work in excess of 40 hours per week as workload and deadlines may require; and ability to have regular, reliable and predictable attendance.